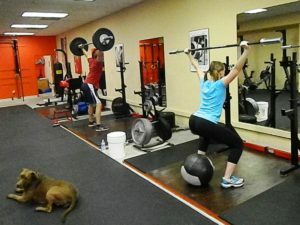 Matt and Jess knocking out some Overhead Squats. 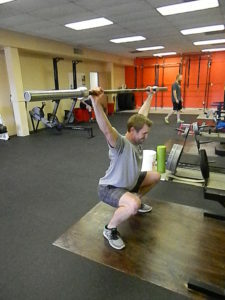 Few exercise work the core as effectively as the Overhead Squats. 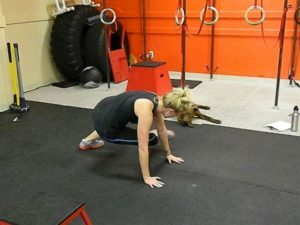 And with great sense of accomplishment that comes with getting them right, few exercises better exemplify the saying, "It doesn't have to be fun, to be fun." … [Read more...] about Serious core work. [youtube=http://www.youtube.com/watch?v=gkA1FBFi8iw&feature=youtu.be] Lots of folks on vacation these days. Grasshoppers are a fantastic exercise to take with you. They work your core, your shoulder girdle, and they'll get your heart rate up. Give them a try today. And remember, if the shin doesn't touch the forearm... no rep. Enjoy!! … [Read more...] about You CAN take it with you! Grasshoppers. If the shin doesn't touch the forearm, it's a no-rep. Coach Josey is keeping an eagle eye on Megan's form to make sure she gets the most out of her workout; a top priority for all the staff at Gateway CrossFit. 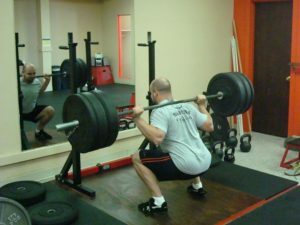 … [Read more...] about No no-reps!